Mice are very common household invaders here in Southeast Michigan. They very often occupy attics and crawl spaces causing scratching sounds in the ceiling and walls. They can also leave behind droppings and holes in your attic insulation. 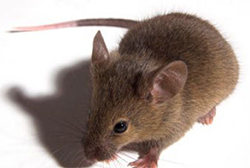 Mice are very small, weighing less than an ounce, and they can fit through holes that are less than the size of a dime. They reproduce very rapidly and can have as many as 30 to 50 babies a year. Left unchecked, a mouse population can get out of control very quickly. Mice are mostly nocturnal (active at night) but large infestations can result in daytime activity as well. Some mouse populations can be so severe that homeowners may mistake the noise in their attic for a larger animal, like a squirrel or bird. Mice can be controlled in a number of ways. These include proper sanitation, rodent exclusion and population control. Sanitation: Even the cleanest houses get mice. But cleaning up spilled food, crumbs, pet food and storing foods in plastic containers will deny mice an easy food source. 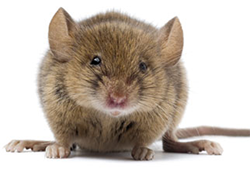 Rodent Exclusion: Mice usually enter homes looking for warmth and shelter, not food. The best ways to exclude mice is to seal all holes around the home that are 1/4 inch or bigger. This includes roof gaps, roof vents, soffit gaps, louver vents, and utility lines. Because mice can fit through such small holes, it’s almost impossible to find every possible entry point. Population Control: Because mice can reproduce so rapidly, it’s almost always necessary for some type of population control. This can be achieved by using traps and rodenticides (mouse poison). While trapping can be a good way to knock down and monitor the population, poison is the most effective method for long term control. Traps and poison should be placed in areas that are inaccessible to humans and pets. Only experienced and certified persons should apply rodenticides. COUNTIES: Livingston, Oakland, Washtenaw and parts of Wayne. CITIES & TOWNS: Ann Arbor, Brighton, Canton, Chelsea, Commerce, Dexter, Farmington Hills, Hamburg, Hartland, Highland, Howell, Milford, New Hudson, Northville, Novi, Pinckney, Plymouth, Salem, South Lyon, Walled Lake, West Bloomfield, White Lake, Whitmore Lake, Wixom, Wolverine Lake and surrounding areas. © 2017 Animal Pro Inc., All Rights Reserved.